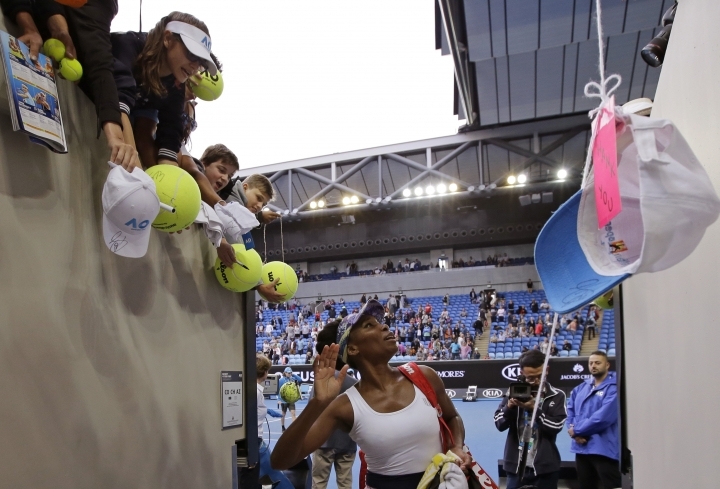 MELBOURNE, Australia — One could never accuse Venus Williams of being sensitive about her age. Not the way she keeps making self-deprecating jokes about it at the Australian Open. "It's a congratulations for me being the oldest person in the draw or something like that," she dead-panned. Indeed, she is appearing in her 73rd Grand Slam singles draw — a record for the Open era. And she is the oldest woman in the draw at Melbourne Park, though it should be noted that male players her age, such as Ivo Karlovic and Roger Federer, aren't continuously peppered with the same questions. But rather than show her annoyance, Williams smiles and patiently responds each time, sometimes with a joke. And she's made clear with her play this week that she's still a serious contender — she's reached the fourth round at the Australian Open for the 10th time in her career, and without dropping a set. "Just like every player here, I have put in a ton of work," Williams said earlier in the week. "I'm not coming all the way to Australia for kicks and giggles. I'm here as a competitor." 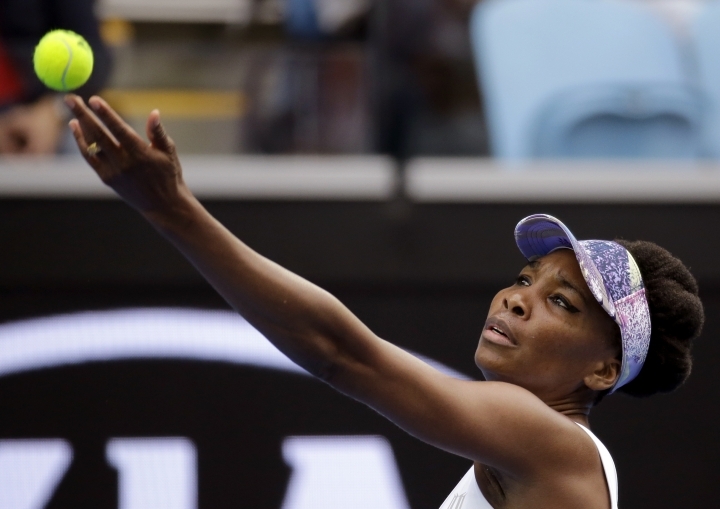 Williams made clear Friday she doesn't want to get dragged into controversies, either. 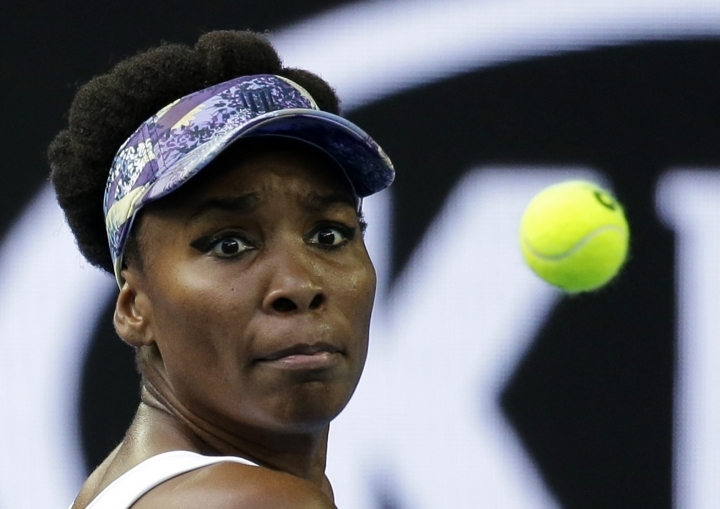 She declined to comment on a remark by a TV commentator during her second-round match when he described her as moving in and charging with what sounded like a "gorilla" or "guerrilla" effect. The commentator, Doug Adler, who maintains he said "guerrilla" — as in, her choice of tactics — but apologized for his poor word choice, was dropped from ESPN's coverage for the rest of the tournament. "All I can say is it's been a wonderful, wonderful career for me full of positives. That's what I focus on," said Williams, who hasn't shied away from addressing issues ranging from racism to gender pay equity throughout her career. "I pay attention and address situations that are noteworthy," she added, when pressed on the subject. "That's been my past record, clearly." "It's never enough," Williams said. "I've been in the fourth round before. I've tasted it before and it's always a great feeling because it means, hey, I have an opportunity for the quarterfinals. That's what I'm going to go for."